CDE > A new visiting researcher at the CDE! 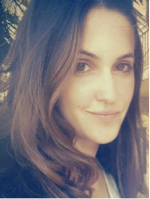 Julia Burchett is currently completing a research residency at the Centre of European Law as part of her PhD pursued in joint tutorship with the Université libre de Bruxelles, under the supervision of Professor Anne Weyembergh, and the Université Grenoble-Alpes, where she is supervised by Constance Chevallier-Govers, Senior Lecturer in European Law. The subject of her thesis is the fight against radicalization in the European Union. Her research focuses more specifically on the examination of the preventive and repressive measures put in place by the States, putting France and Belgium into perspective from a comparative law approach. By comparing the action of some European States to EU-wide initiatives, her research project aims in parallel to question the added value brought by the European Union. Her research stay at the Institute for European Studies will allow her to work closely with the institutions active in the field of terrorism prevention while getting acquainted with the actors on the ground engaged in this issue.